Ledlightsafrica · Energy saving – Cost saving – Carbon Saving. Let's keep Africa Green. What you need to know when buying LED lights…read and save money! Feel free to visit LED Lighting Solutions and drop us an email if you need any assistance. LEDs are clearly versatile if this video has anything to say! Who would have thought you could use them like this? It’s got me thing about the other 1000 ways to use these lights… that is, 1000 “interesting” ways to use them. If you have a novel application for LED lights, why not comment here? Let us know about your LED lighting applications that are… a little off the beaten path! So what is an LED light…and why the fuss? LED lights? What is the fuss all about you may well be asking. “LED ?? ?” … what the heck does that mean? Here’s a quick, light (sorry!) look at this thing called the “LED light”. First, let’s begin with the meaning of LED. LED stands for Light Emitting Diode… and even a non-rocket scientist (like me!) can work out that the main thing to note is that it “emits light” . It does this when a power source (like a battery) is applied to its two input terminals and it does so because the boffins have worked out how to get the now powered up little electrons to give off light as they move through the material that makes up this “diode” thing. They have been around for years…but until recently they have been used only as “indicating” lights (e.g. is the TV, cellphone, kettle, hifi etc on or off) and not for illumination. So they are that little colored plastic light in your hi-fi, hair dryer etc that comes on when you turn the power on. The electronics of an LED are not important here, just that you need to know that when you attach a power source like a battery or electricity, the result is an electron flow that results in light being emitted. The catalyst for their development into lights was the realisation that they use very little power to create light. Take your cellphone. That little light that flashes to tell you that it is “on” is not about to drain your battery in a hurry. So some clever people thought “hey, if this thing uses so little power, what about making a light bulb out of them?”. Problem. Until recently, the amount of light that they could generate was very, very small. So you’d have to connect a room full of them together to get anything near a light that could replace the standard globe above your head. But, along came even more clever folk who were able to increase the lumen output (call that a measure of light given off) from 3 lumen per watt of electricity to 30 lumens…then 50 lumens and now we are at 100 lumens per watt in commercial applications. I hear the “even more clever” people have prototypes at over 300 lumens per watt. So watt you say! Well here’s the buzz – a standard 60W incandescent light (which most of us use for lighting) gives off about 700-800 lumens… so that is just 13 lumens per watt. Much of the electricity goes to generating heat in the incandescent bulb…and anyone who has tried to change an incandescent bulb that has been on for a while…will know that! Ouch! So if we can get the same amount of light that a 60W bulb (60 x 13 lumens/watt= 800 lumens) puts out with an LED light that requires only 8W (8 x 100 lumens/watt) of electricity, we stand to radically reduce the electricity consumption of that light. That is the beauty of the LED light. So less power = less cost for the consumer and less carbon dioxide emissions from that power station down the road because only 1/8th of the electricity needs to be generated from coal. Very “green” indeed! Brilliant! So why are we not ripping out our globes (after they have cooled…of course!) and fitting LED globes? Well, this is a new technology and at present, the cost of manufacturing the LED lights is still higher than most consumers are willing, or in today’s times…”able…” to spend. There is …um…light on the horizon though, as performance is increasing and costs are coming down. Mainstreaming of the technology will occur in the next 3 years I reckon. Now when you look at an LED light, you will notice that the base looks quite “heavy”. The reason for this is that the electronics that help make the light work, can generate heat. The problem here is that the more heat that is generated, the more likely the electronics will eventually pack up. So those clever folk in the R&D labs have developed aluminium heat sinks, or ways to get the heat away from the electronics. The aluminium carries the heat away, and because it has a large surface area with all those fins or folds, it allows heat to move off into the air around it. That is why the base looks “heavy”. That said, LED lights convert 80-95% of the power into light so they actually don’t get very hot at all. This saves further electricity usage in that air conditioners are not required to cool down the warm air that the incandescent lights are creating (not an advantage in Alaska maybe…but anywhere else it could be quite a saving!). So there we have it. A new technology that makes low cost lighting possible; reduces carbon emissions and has some other advantages (like they don’t give of ultraviolet light) that add to the positives. The negatives are that as a disruptive technology, not all products on the market will work as promised and quality varies significantly from manufacturer to manufacturer. I replaced a 50 W halogen spotlight with an LED and ended up staggering around the room trying not to bump into anything! Not at all the equivalent lumen output that the manufacturer had promised, and had I not known better, I may have rejected LED lighting as a “con” and become cynical about this new “ponzi” scheme! Fortunately, I have some really great lights that have adequately replaced the power guzzlers… ahh…that reminds me…the other BIG advantage is that LED lights can last for 50000 hours before they become dim (gradually over time they do go dim… but they don’t ”burn out” every 1000 hours as do incandescent lights do ). Now if you just use your bedsite light for an hour a day… it means that you’ll die before your 50000 hour LED light will! Imagine leaving your bedside light to your loved ones in your Will..! So all in all, a technology with a very promising potential. Watch this space in the years ahead… could be just as wonderful and as useful as cell phone technology. The difference is that LED lights won’t be helping your work to follow you everywhere you go! …. Are we serious about going “green” ? I took a walk through Builders Warehouse today and was very surprised to see the large number of CFL lighting products on the shelves. Then to my utter amazement…some LED bulbs! Not a great range, but some replacements for 35W incandescents and some GU and MR16 bulbs. The cost? 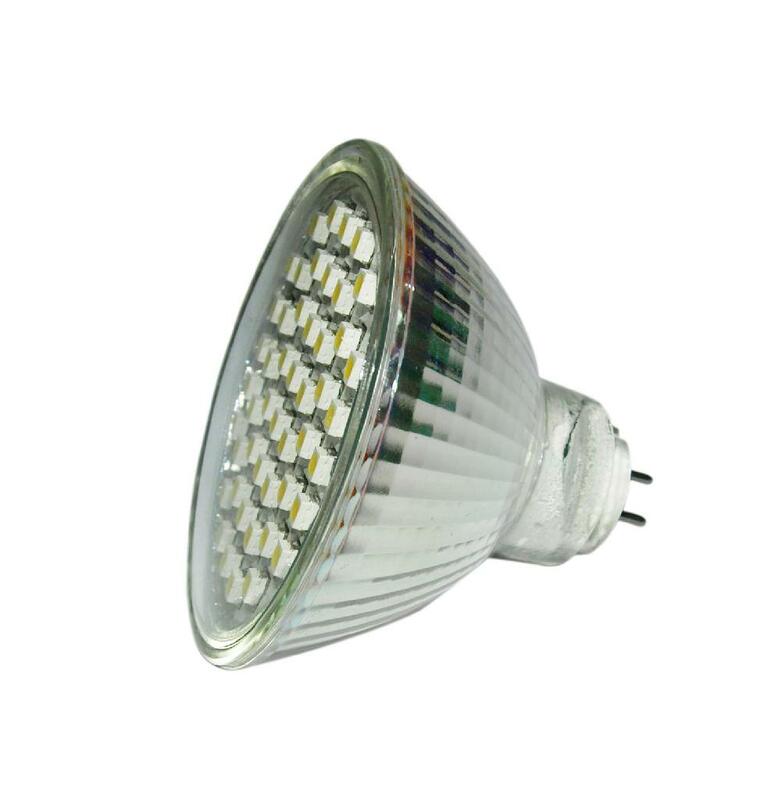 A cool R126 for the 5W LED and R99 for the MR16 bulb…ouch! Compare that to R10 for a 60W incandescent and much the same for the little 3W MR16. Rushed home to try them out. The family couldn’t see any difference with the MR16 in the ceiling but the 5W LED fell short of the 60W bulb it replaced. To be fair, it was stated as a replacement for a 35W bulb but then there wasn’t a 9W LED on the shelf. LED lights…green…clean and cost saving! 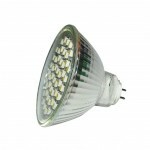 LED lights… energy saving, carbon saving and…cost saving! Join our blog and you’ll be introduced to articles and opinions on the rise of LED lighting.